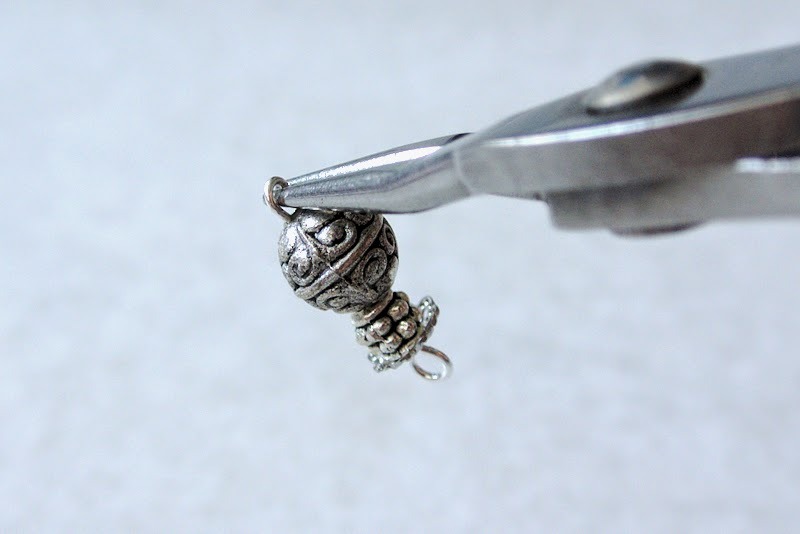 It's Friday again, which means it's time for another weekend project! My annoying, 'gedik' self must almost always have a new DIY in time for a holiday. And since I'll be traveling to Phi Phi Island very soon, I thought I could do with some new bracelets to add on to my arm party. For a while now I've been pretty obsessed with the Dylanlex/Boho/Indian look, but unfortunately, these sort of pieces are not so easy to find in Malaysia. My solution? Make my own! 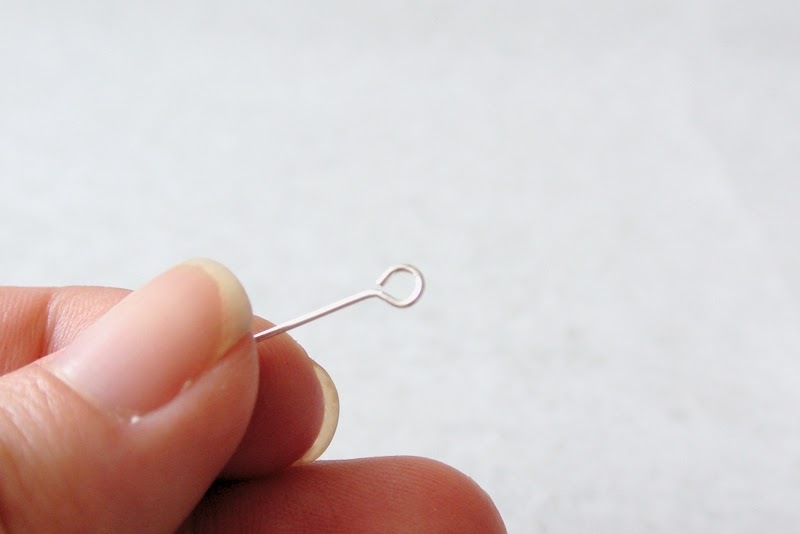 *the products above are easy attainable at most craft/beading stores. I bought most of mine at Art Friend (Gardens Mid Valley) and Bunga Reben outlets in Kuala Lumpur. 1. 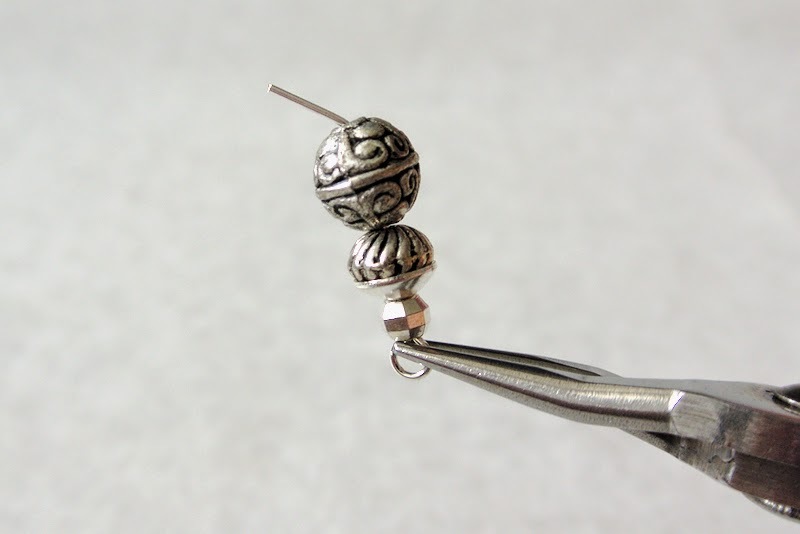 Thread selected beads into the eyepin. 2. 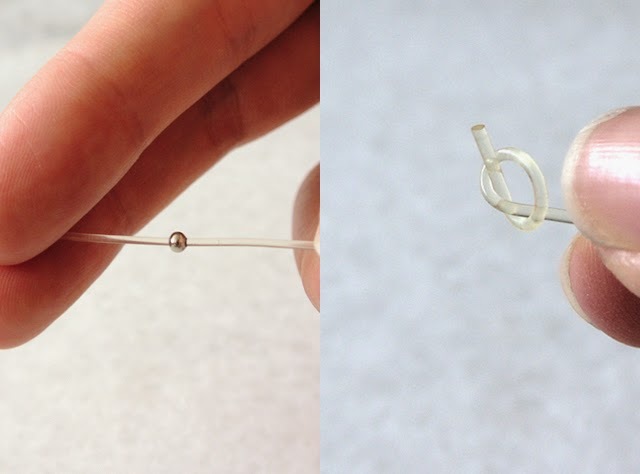 Use the wire cutter to cut the excess wire at the top of the eyepin, ensuring there is roughly 8mm of wire left above the beads. 3. 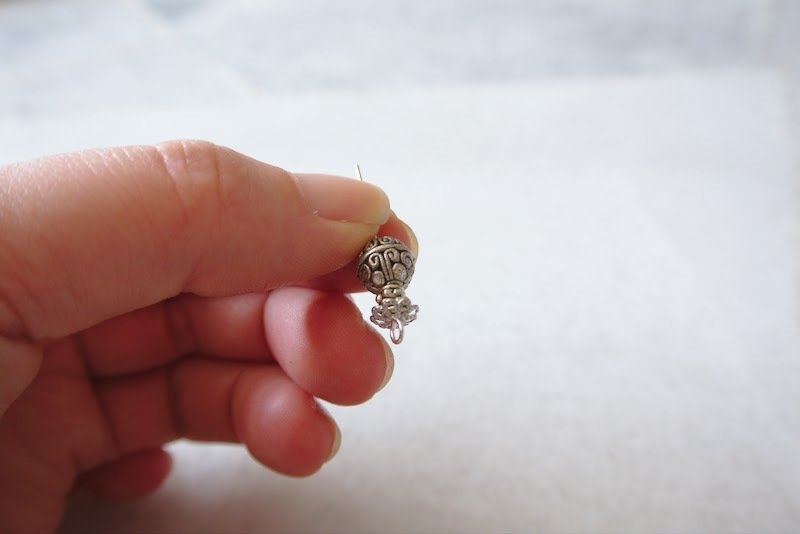 Hold the beads in place on the eyepin, with the thumb and forefinger of one hand and use another finger to control the wire. 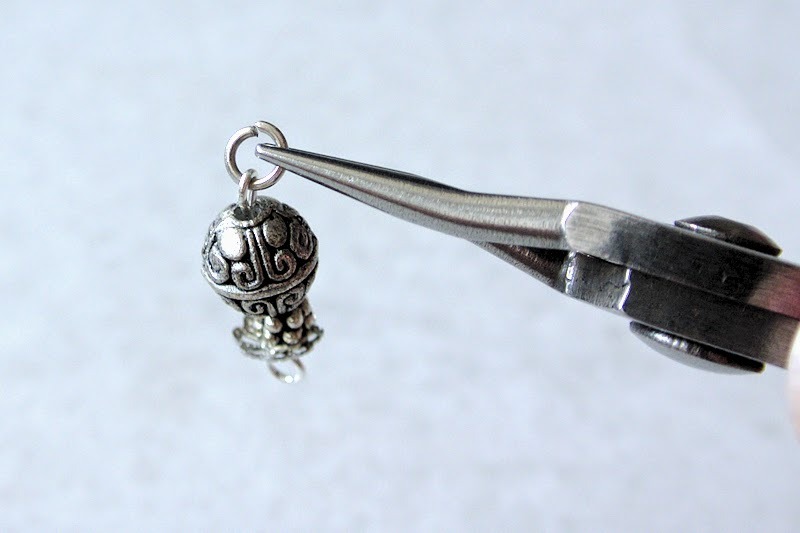 Place round-nosed pliers directly above the beads and angle the wire towards you about 45 degrees. 4. 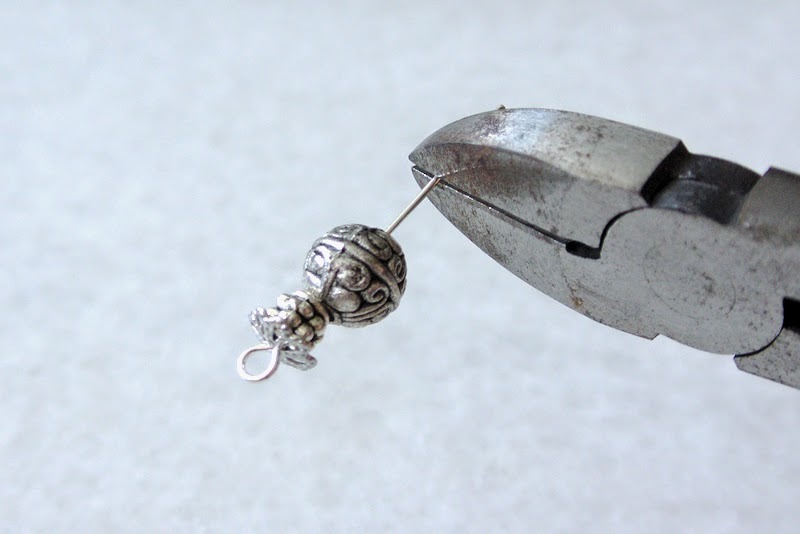 Then move the pliers to the top of the wire, and roll the wire away from you to form a loop. Do this in multiple movements if you can't do it in one move. This might require a bit of practice, but you'll get it after your second or third try. Tighten the loop where necessary. 5. 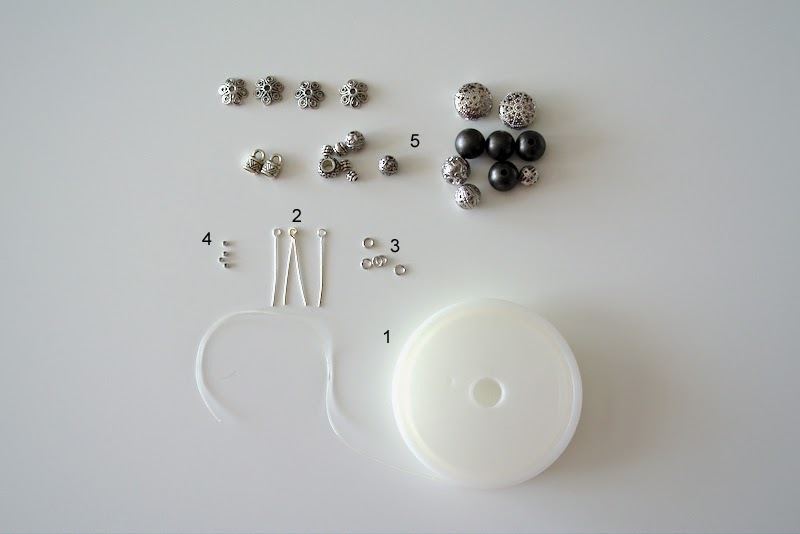 Attach a jump ring to the end of the loop you created. 1. 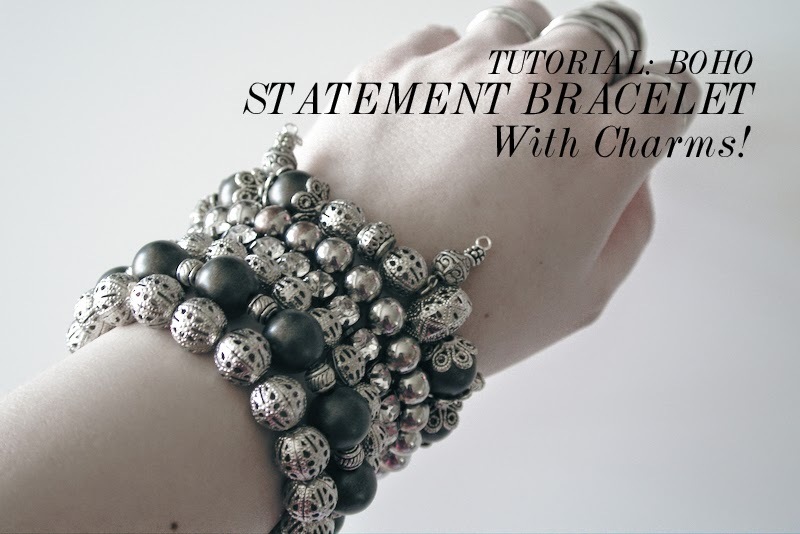 Measure the clear elastic around your wrist, making sure to leave some room for the beads (depending on the sizes you use). 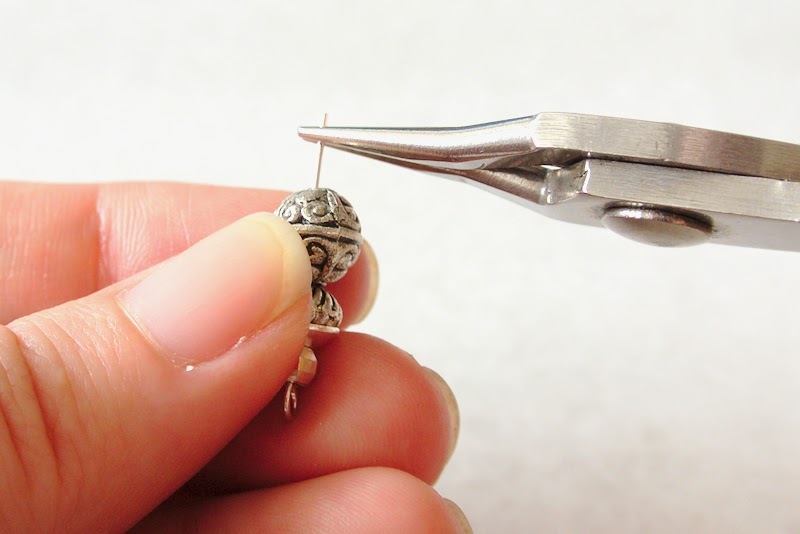 Add an additional 1.5 inches to that measurement, and cut. 2. 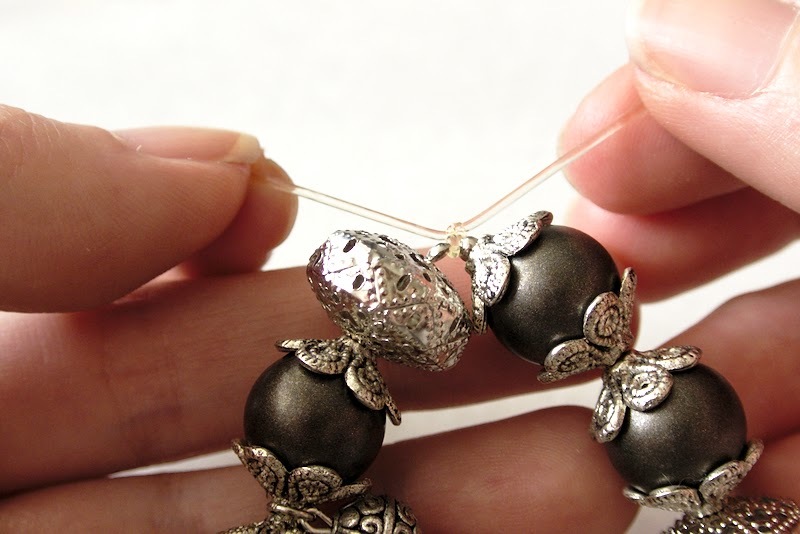 To secure one end of the elastic, you may tie a loose knot, or use the french crimp to block the beads from falling out (when threading). 3. 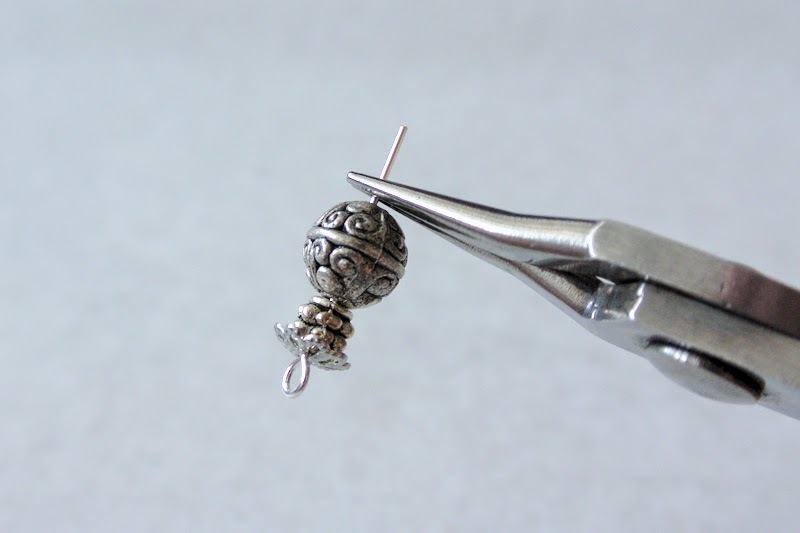 Start threading your beads! I like the randomness in my design but you may choose to create something more uniformed, up to you. 4. 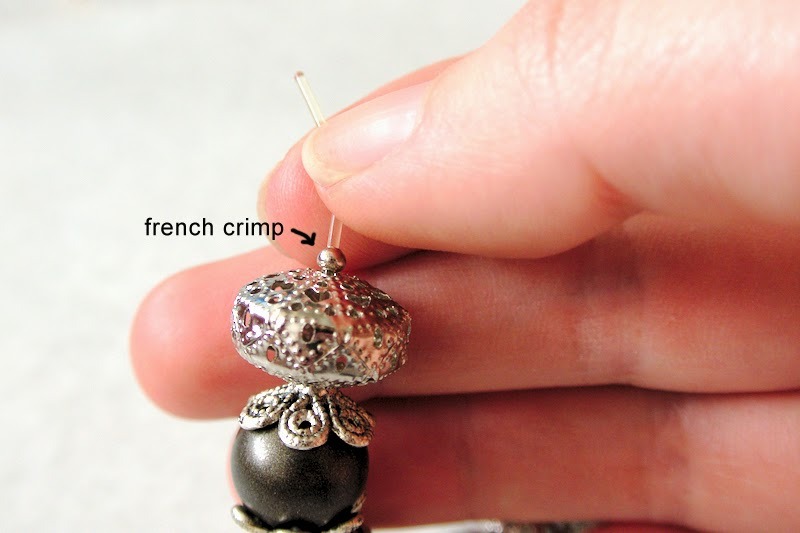 When you're done threading, you may add on another french crimp to secure the beads. 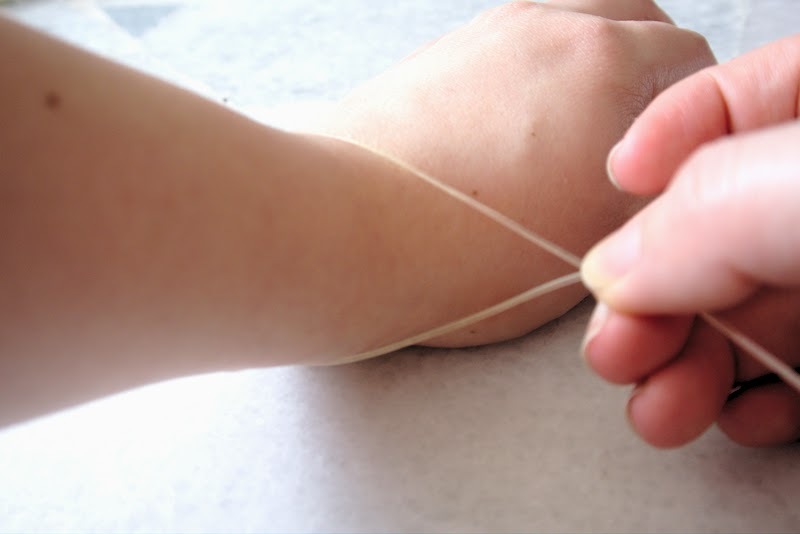 Otherwise, proceed to tie a simple knot to secure your bracelet. 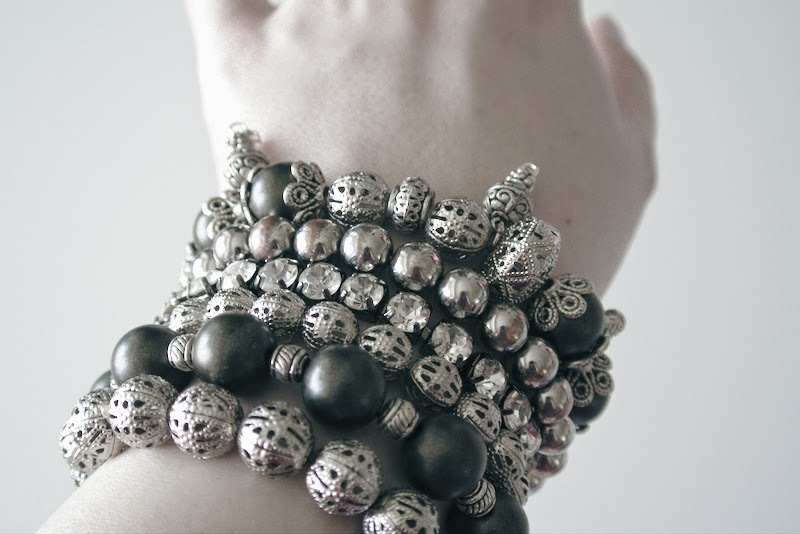 I made a few extra bracelets to add on to my arm party, by simply threading silver beads together. I kept the rest fairly minimal to keep the focus on the main piece. I hope you enjoyed the post. Have fun! Hi Sunflower! Im not sure if you're in KL, but a good place to get tools in KL is in Bunga Reben in town. Otherwise, Art Friend at Mid Valley or The Curve have some good stuff too (: good luck! Thanks, Jillian! I will check out Bunga Reben. I went to Art Friend and their stuff was kinda pricey... I finally managed to find pliers with unserrated jaws pliers in Ace Hardware MidValley! Ace's branch in Sunway Pyramid didn't have them, though. They were the Rolson brand and both needle nose as well as bent nose were unserrated. 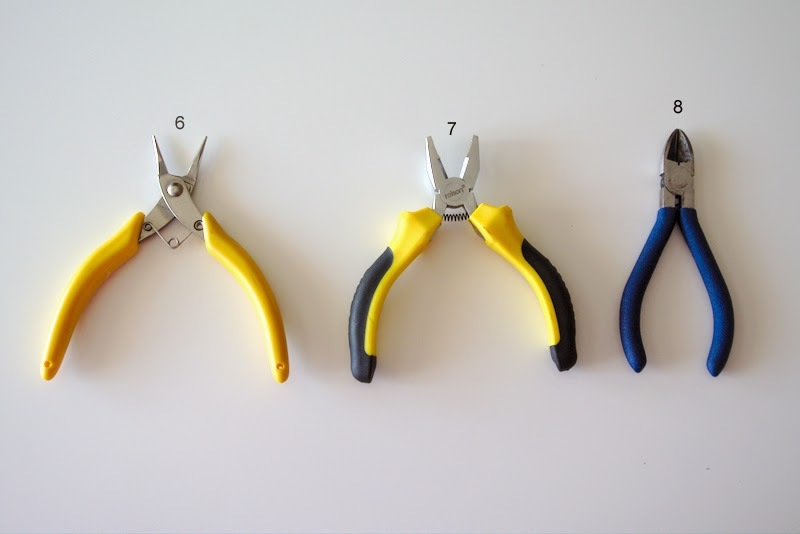 And yesterday I found crimp pliers in Glister Fashion along Jln Sultan (near Petaling Street). I felt like I had stumbled onto hidden treasure or something! Good post. Thanks for sharing this post with us. 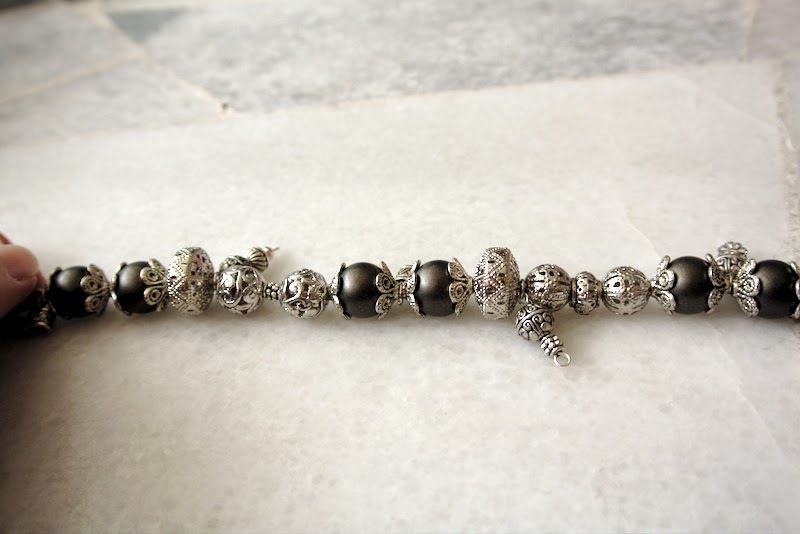 It conjointly comes with totally different color accent just like the Classic Pink Pearl Bracelet. 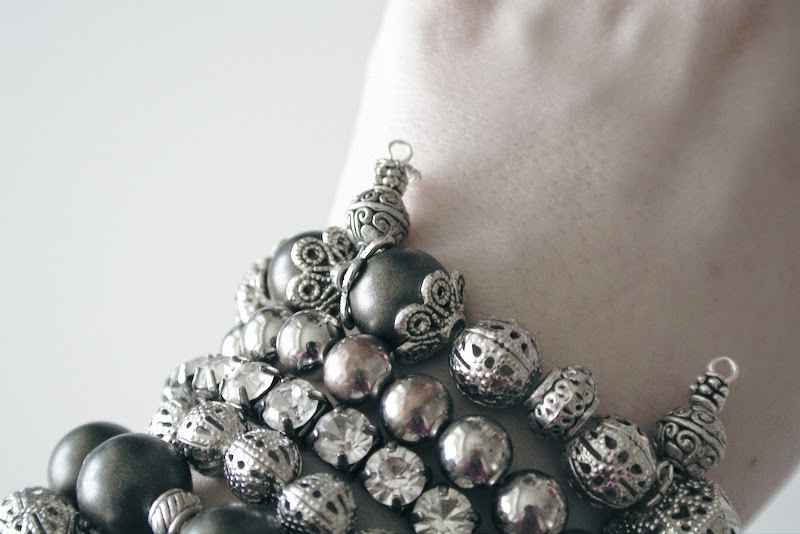 Mother's Gold Bracelet doesn't have elaborateness within the style and magnificence. 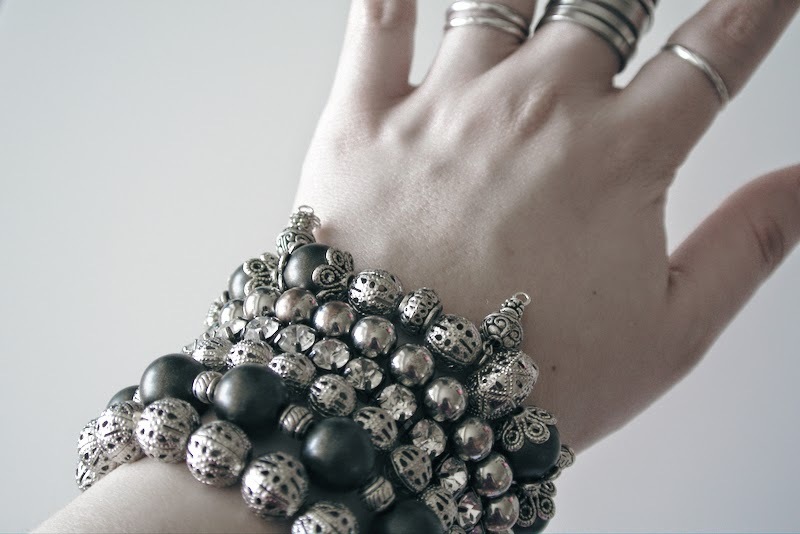 boho bracelet The symbol Bracelet,There area unit voluminous bracelets to decide on from.